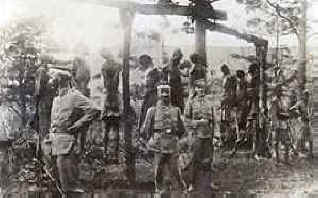 The next installment of my article on war crimes, genocide and the role of ordinary people in them. This focuses on the legal, ideological, and military doctrine foundations of the German race war in Poland and Russia. Without these foundations it would have been difficult, maybe even impossible for the Germans to implement genocide on such a vast scale. This study will focus on the German policy of ideological-racial war in Poland and Russia. 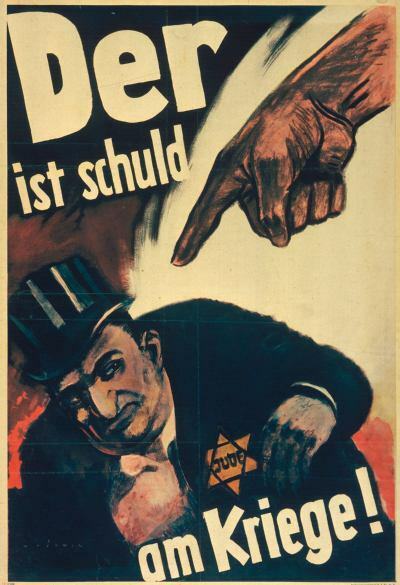 The German war against the Soviet Union and to a certain extent Poland was waged with an unforgiving ferocity against Hitler’s enemy, the Jewish-Bolshevik state and the Slavic Untermenschen. Hitler’s racial ideology was central to his worldview and fundamental to understanding his actions in the war. 38 However twisted Hitler’s ideological formulations were his ideas found acceptance beyond the Nazi faithful to the Army and Police, who would execute the campaigns in Poland and Russia in conjunction with the Einsatzgrüppen and Nazi party organizations. In these organizations he found allies with pre-existing cultural, political and doctrinal understandings which allowed them to be willing participants in Hitler’s grand scheme of eastern conquest. 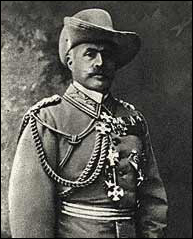 Of about 80,000 Herero some 60,000 died in the desert, a few thousand survived to be “sentenced to hard labor in German concentration camps.” 72 Despite praise from some in the General Staff the brutality shocked many Germans and General Alfred Von Schielffen who had to defend himself from the “accusations that he had harmed the good name of the army” ensured that “Trotha never served in the field again.” 73 Despite this the application of such Bandenkämpfung operations found their way into German military doctrine. Anti-partisan doctrine focused on the destruction of the partisans, was coupled a total war philosophy and provided fit well with Hitler’s radical ideology. The “propensity for brutality in anti-guerrilla warfare was complimented by officers’ growing preoccupation, both during and after World War I, with the mastery and application of violence.” 78 Michael Geyer notes: “ideological mobilization for the creation of a new national and international order increasingly defined the parameters of technocratic planning.” 79 The acceptance of long used brutal tactics to destroy the enemy combined with Hitler’s radical racial animus against the Jews could only be expected to create a maelstrom in which all international legal and moral standards would be breached. 25 Geyer, Michael. German Strategy 1914-1945 in Makers of Modern Strategy from Machiavelli to the Nuclear Age. Weidenfeld & Nicholoson, London 1953 p. 27 Goebbels notes a similar theme in his recollection of Hitler’s reasons for destroying Russia a power . See Taylor, Fred, Editor and Translator. The Goebbels Diaries 1939-1941, Penguin Books Ltd, Harmondsworth UK and New York NY 1984 pp. 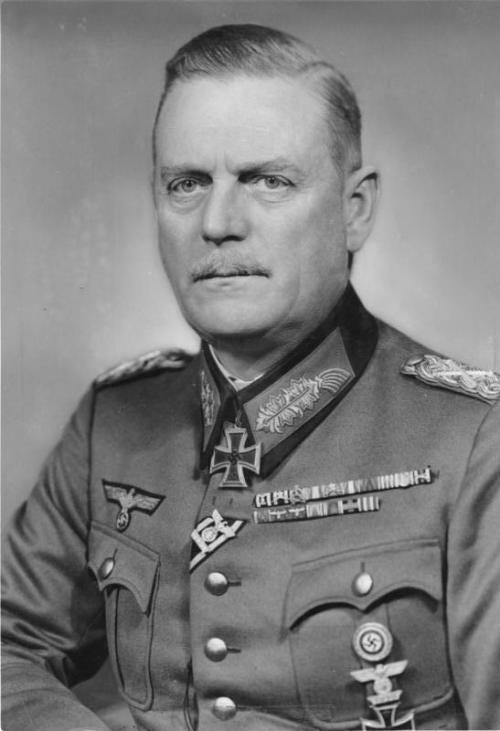 413-415.
primary sources being German officers who he viewed with sympathy because he saw them as exponents of his theory of the indirect approach. The time was also around the beginning of the Cold War and the Berlin Blockade when many American and British leaders were trying to end the war crimes trials and bring the West Germans into the new anti-Communist alliance. 48 Höhne, Heinze. Canaris: Hitler’s Master Spy. Translated by J. Maxwell, Brownjohn. Cooper Square Press,New York 1999. Originally published by C. Bertelsmann Verlag Gmbh, Munich 1976, first English edition by Doubledayand Company 1979 p. 216. Canaris would later protest the Kristalnacht to Keitel (p.334) and become convinced of the crime of the Nazis against the Jews. 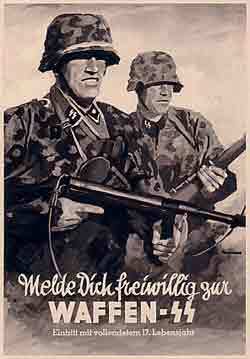 56 Westermann, Edward B. Hitler’s Police Battalions: Enforcing Racial War in the East. University Press of Kansas, Lawrence, KS. 2005 p.64 Westermann also notes the preponderance of SA men who entered the Order Police in the 1930s, a factor which helped further the politicization of that organization. 66 Ibid. Blood Hitler’s Bandit Hunters p.6 Lieber was a Prussian emigrant to the US who taught law at Columbia University.